One of the biggest decisions you’ll face when remodeling your Connecticut home is how much to spend on the project. It’s critical to have a realistic budget for what you want to accomplish. Spend too much and you can find yourself in the very uncomfortable position of not being able to afford other things your want or need. Spend too little and you won’t end up with the results you want. So how do you budget for your Connecticut home remodel? A good place to start is to have a good general idea of what certain home remodeling projects in your area should cost. One trusted (and independent) resource is the Cost vs. Value Report that has been published by Hanely Wood for many years. This report shows what the pricing for a range of home remodeling projects should be for each region of the country. While the specific details of your project will have an impact on your final cost, you will at least have a benchmark for what the remodeling project you want to tackle should cost for your area. It’s a helpful tool to begin setting parameters. The report not only breaks projects down by region, but also separates them into levels such as “mid-range” and “upscale” projects. For instance, for a “mid-level” major kitchen remodel in the New Haven area you could expect to pay in the range of $65,806. For an “upscale” kitchen remodel (more complicated and involved, and with higher end materials and appliances) you would expect to pay in the range of $129,982. A mid-range bathroom remodel would run approximately $20,909 and an upscale bathroom remodel would cost in the range of $64, 658. Click her to check other remodeling projects for the New Haven area. The report also provides you with an estimated amount that you will recoup if you sell your home after making these improvements. Obviously, there are a lot of factors that will determine what your exact cost will be, but at least the Cost vs. Value Report gives you a reference point. Another great way to begin to get a handle on the budget for your Connecticut home remodeling project is to actually talk to a professional about what you want — or at least what you think you want. That’s why we encourage individuals who are thinking about remodeling to talk to one of our home advisors before they get too far along in their planning. During this 10-minute phone consultation, you’ll hear about current design trends and ideas; hear what others in your situation have done; get a budget range for your project; and get answers to your questions and concerns. At the end of the call, we’ll point you to the best way to accomplish what you want — even if Sunwood isn’t the best fit for you! When it comes to remodeling your Connecticut home, you don’t want to bite off more than you can chew financially. But you also don’t want to settle for less than you can reasonably afford to pay. After all, your goal in remodeling your home isn’t to save money, it’s to get the maximum amount of comfort and convenience from your home for a fair price. 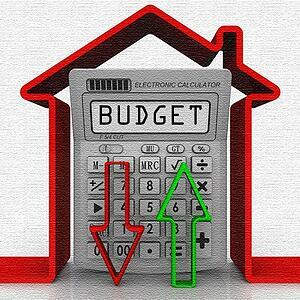 By the way, if you’re looking for a tool that can help you calculate just how much you should spend on remodeling your Connecticut home, click here for a helpful post that includes a budget worksheet that lets you customize the information for your specific situation.